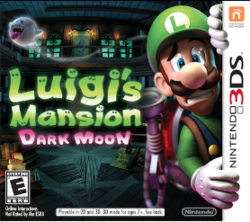 In Luigi’s Mansion 2/Luigi’s Mansion Dark Moon, each mission gives you a rank from 1-3 stars at the end of the level, with 3 stars being the best you can get. But getting these ranks isn’t always easy, and the requirements are never told to you in game or in the instruction manual. So here’s my guide to getting three star ranks in Luigi’s Mansion Dark Moon so that hopefully everyone else can get them as well. But these aren’t equal. No, in 99% of cases, the amount of gold is the most important thing in determining what rank you end up with at the end of the level. Heck, in a lot of cases, there’s basically a minimum threshold in amount of money you need to get a 3 star rank, with anything below this immediately disqualifying you from it. Of course, this is slightly less the case in boss battles where gold is severely limited, so in those cases it seems like time is the most important factor and not wasting any by missing attacks or aimlessly wandering around is your key to a good rank at the end of the mission. Still, keep in mind that the amount of gold gotten in a mission is usually the most important thing to consider. In a normal mission, get as much money as you possibly can. Really, the money is far more important than the time taken in terms of ranking critieria, and it’s even a tad more important than not getting hit by enemies. So if you ever have the choice between ‘quickly finishing the level’ and ‘padding out your wallet’, always choose the latter. The one hidden underneath the bear rug in the first mission of the Secret Mine. Pull on the bear’s tail with the Poltergust while in the Chalet to make it appear. The hockey greenies in the same mission. 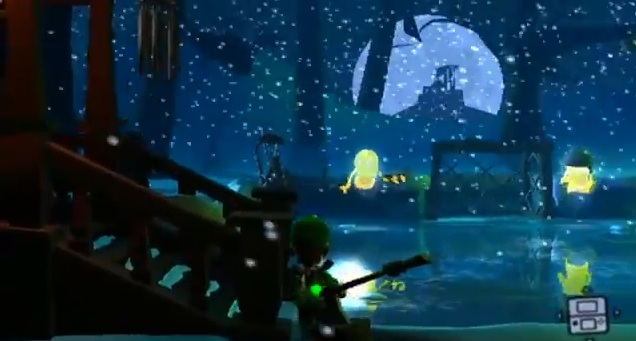 Find the hockey puck near the Fishing hut door and shoot it into the goal to make them both appear. The Gold Greenie found in the Deep Hall (room before the Crystal Quarry in the Secret Mine). Look into the hole in the wall to the left to make both him and a Sneaker appear. The one in the dresser in the Treacherous Mansion Grand West (hallway connecting the Dark Ages Exhibit with the Ice Age one). Shine the Dark Light to the left to make a dresser appear, then open it to find a Gold Greenie. Those are some of the commonly missed ones that might just be the reason you don’t have a three star rank on these missions yet. Gold Bats, Spiders, Mice and Beetles also exist and always drop a gold bar upon being defeated with the Strobulb. So defeat as many of these as possible, although they’re very much not required for a three star ranking. Also, get the gold dog bones in each mission. These will not only revive you upon death, but also give you a nice extra 200 gold at the end of the level if you don’t end up using them before then. They appear in the first object you check after getting 200 gold in a level, so once you’ve passed that threshold, check the nearest object you can find. Above: Get any Gold Bones you can find. In Polterpup missions on the other hand, you need to be pretty fast in general. Don’t stray too far from the main route, try not to wander around aimlessly and follow a walkthrough if necessary, since time seems to be much more important here than it is elsewhere. Finally, for boss battles, it’s usually a matter of finishing quickly with minimal mistakes. So don’t miss too many shots in the Shrewd/Scornful Possessor (ice) battle, don’t get stuck and hit by King Boo in the final battle chase scenes and generally don’t screw up in the others. You’re near enough guaranteed to have three stars on the battle with the staircase though, 90% of players end up doing well enough on the first try due to the low boss difficulty, and messing up on the stairs doesn’t hurt your rank too much. I did a few tests a while back to verify what causes you to get a three star ranking. First I speedran the entire level with a walkthrough and got a record quick time with no health lost. The result? Two stars. Then I collected as much money as possible, got hit a few times and took much longer, with the end resulting being a nice neat three star rank. Seems like pretty good evidence that money is the main contributing factor here. These are from missions I have a three star ranking on. Hopefully this gives people some rough idea of what amount of money is recommended for each mission. I know these records are from fairly late in the game, but I thought these would be the most useful ones to post in this article. Why? Because these were some of the missions I was having most trouble getting three stars on due to money collected, so hopefully people can compare their records and figure out whether they’re missing anything. For getting three stars in all missions, you get another E Gadd medal on the file select screen and next to your name online. In case you were wondering, the first one is gained from beating the final battle and the last is for filling up the Vault entirely (including all ScareScraper specific bosses). I don’t personally have this medal yet (still need to get three stars on the Shrewd/Scornful Possessor, Big Boo and final boss). Hopefully this shouldn’t take me too long, since I’ve only got three missions and one ScareScraper boss left before I’ve completed everything in the game. Either way, there’s my guide to getting three stars in Luigi’s Mansion Dark Moon. I hope it helped some people, I know it’s not easy to find the real requirements for getting high ranks online. And if you have any questions about the guide, just ask them in the comments section below! I did better than yo at E-2 Double Trouble and only got 2 stars. Like what the heck? You may have missed an optional ghost that caused you to get less overall score than him. Yeah, I don’t know why CM30 assumed that the Ghosts Captured count didn’t matter. E-2 and E-3 have a lot of optional ghosts that can make a big difference. I got 3-star ranking in all levels! Thanks Nintendo 3DS Daily! how do you get three stars on E-3 (train to catch)? I broke a new record in Luigi’s Mansion Dark Moon D-1 Cold Case in a Personal Records for a 3 star rank.